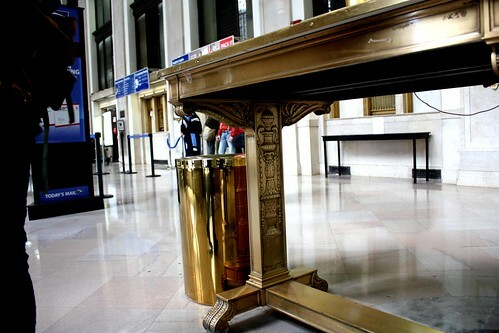 0 Comments Published by Cedric Benetti on Saturday, April 17, 2010 at 4/17/2010 02:03:00 PM. 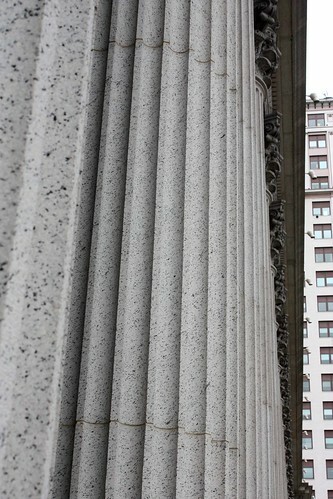 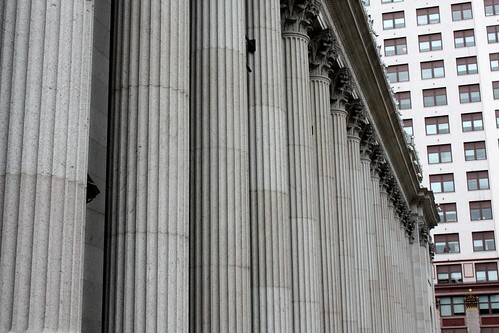 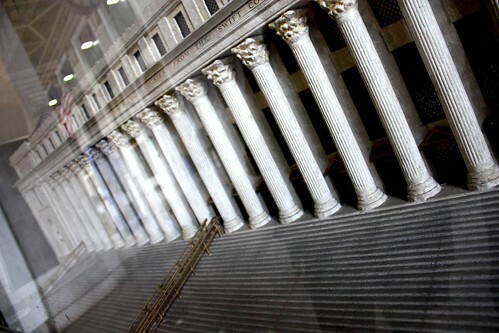 In order to somewhat make up for the destruction of the old Pennsylvania Station a long time ago, NYC officials decided to turn the 1912 Beaux-arts styled general post office building that once stood behind the famed train station into the new Penn Station. 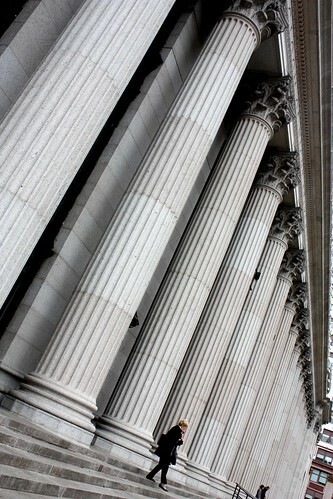 The old post office is a monumental structure, famous for boasting the world's longest monumental order corinthian colonnade. 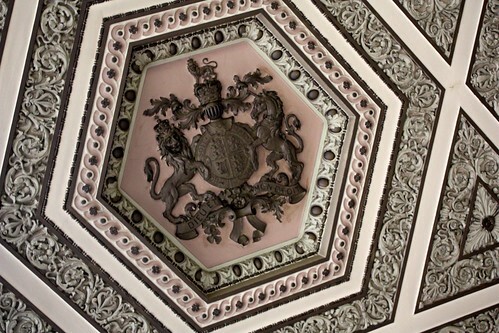 The interior hall runs all along the colonnaded facade and presents a monumental decorated ceiling, as well as some of its original furniture. 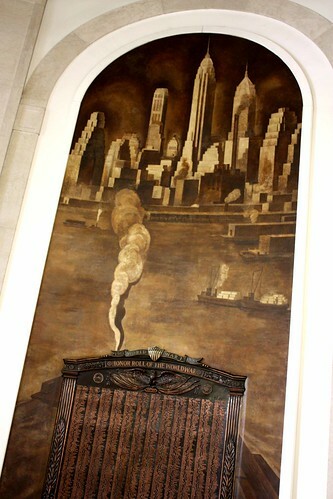 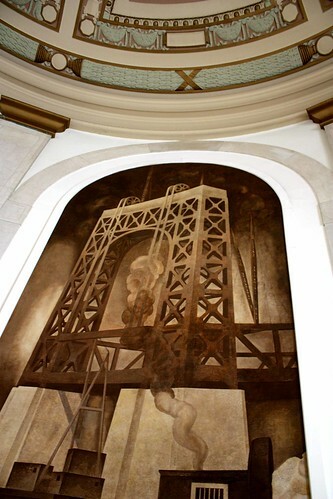 Murals from the 1930s show downtown views. 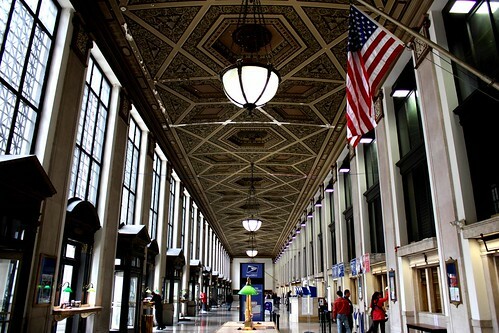 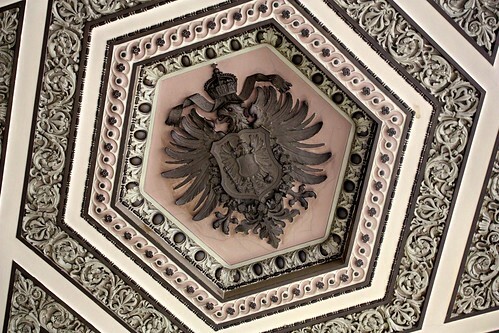 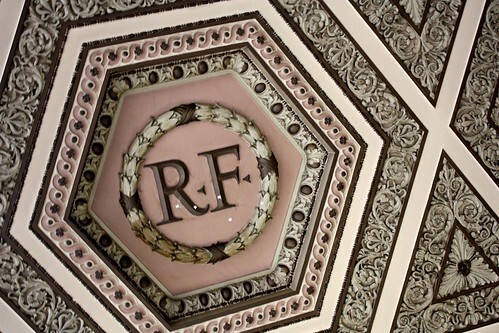 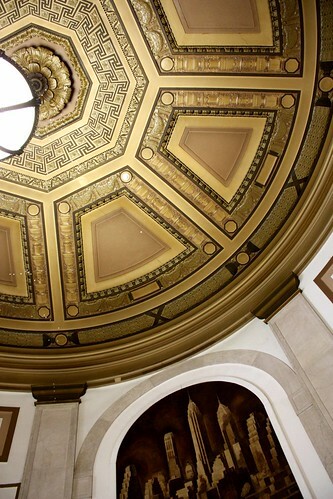 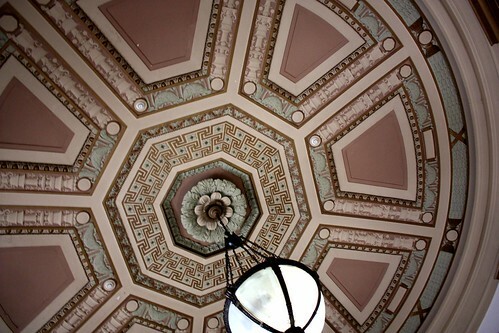 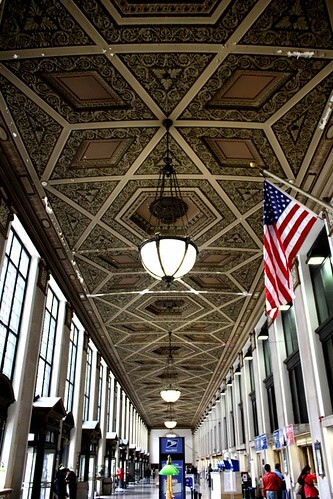 embedded in the main pattern of the ceiling are national blasons of many countries that have contributed to the development of the postal service system. 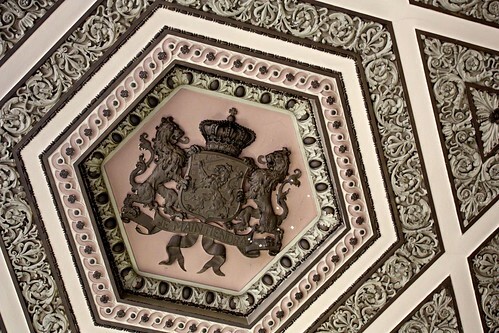 The..Dutch, though the lions and motto of Orange-Nassau are also found on the Luxembourgish one. 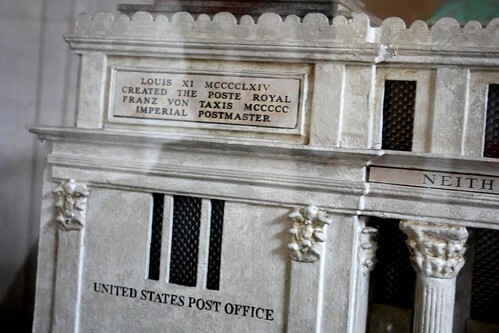 The old plaster model is still on display, and there is a small postal history museum inside the building as well.